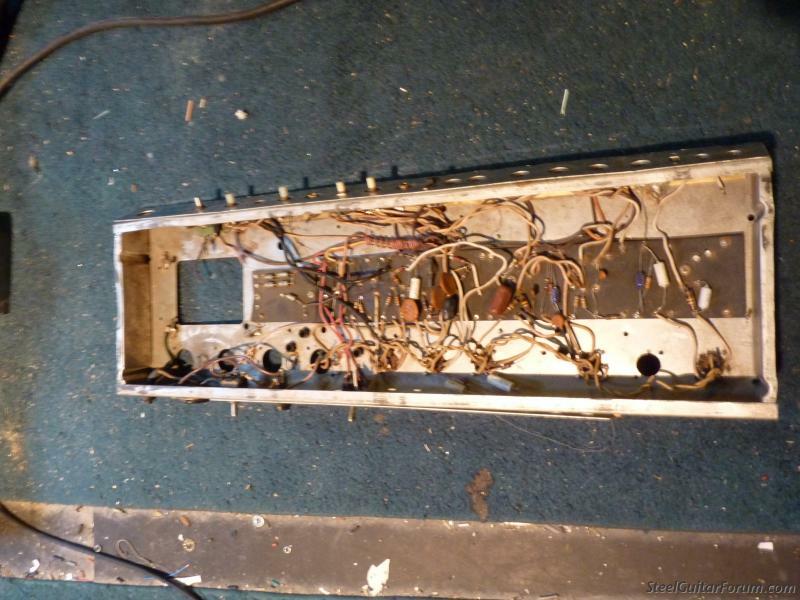 This is a 1972 Vibrosonic Reverb chassis that was gutted. Asking $1200. Per request, will sell the head for $1000, $950 without piggyback hardware. Cost quite a bit more in parts than I initially thought. New ClassicTone transformers with a multi-tap output transformer and selector switch installed. All new electrolytic capacitors and most of the poly caps with orange drop Sprague. New ceramic tube sockets. All pots were bad so replaced them all with CTS pots. New knobs. Modified bias circuit to Blackface specs. Modified so FX are available on both channels for those who play multiple instruments through one amp. Included before and after pictures of the chassis. The speaker cabinet was previously made for a client that wanted the cabinet for a Silverface Dual Showman Reverb. Said he wanted it as light as possible but when he saw the thin boards on the back he said he didn't want it. The speaker is a JBL M151-8, which was designed to be like the original D-130s, is the last instrument speaker JBL made. The grill cloth doesn't match perfectly but on request I will change to match the head. Also upon request I will change the back of speaker cabinet to open/closed or whatever. What is a Vibrosonic? Output wise? You say gentleman didn't want cabinet because wood too light? What does that mean besides you building the cabinet with some light type wood, I guess? 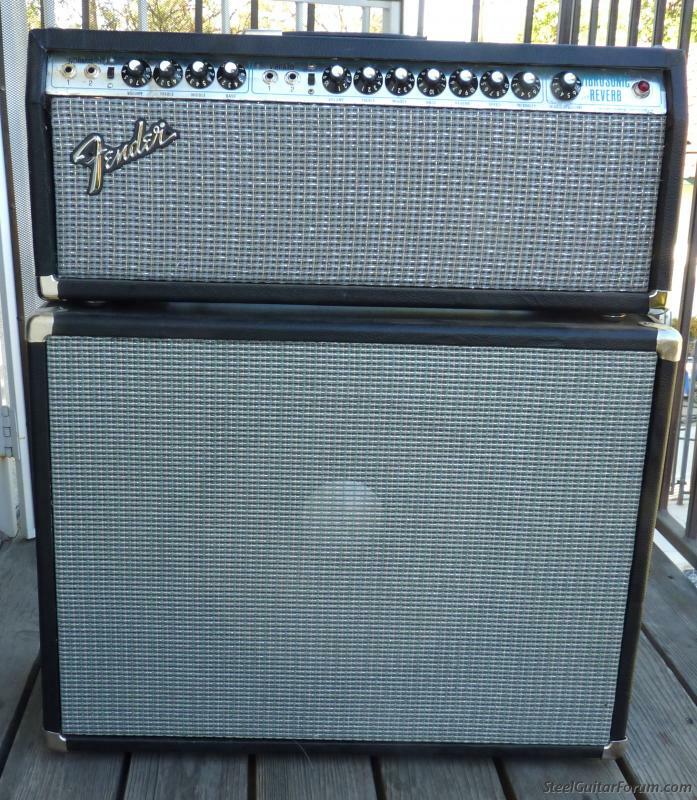 I think it's basically a twin reverb with a 15" speaker. 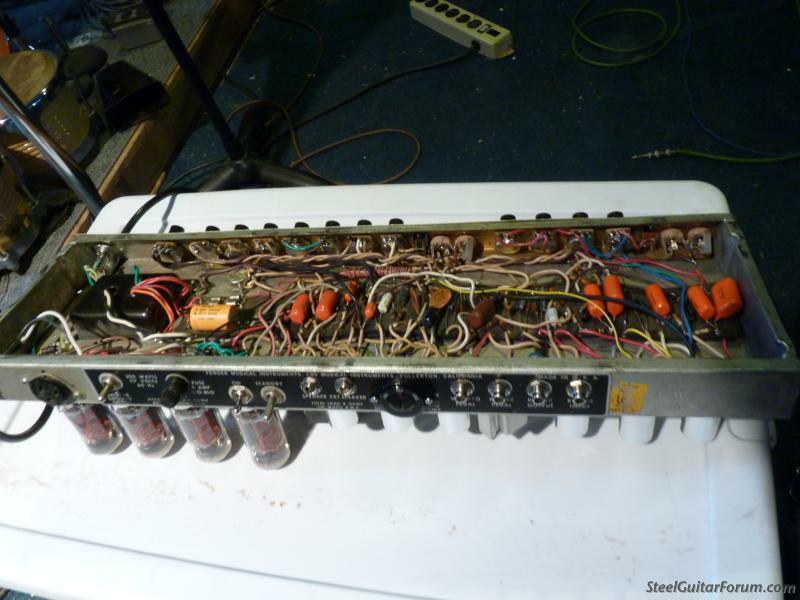 A Vibrosonic was a Twin Reverb with an 8 ohm output and a 15" speaker. 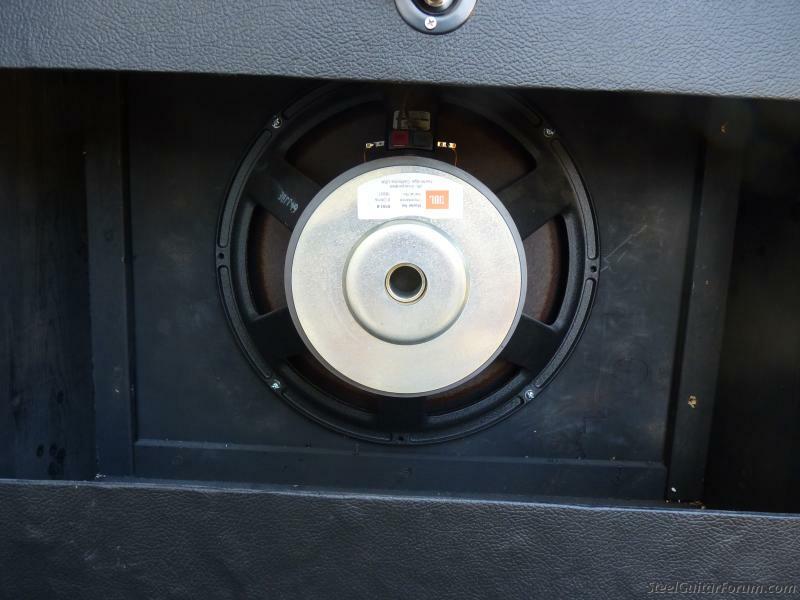 The back boards on the speaker cabinet are thin/light, like those on a Twin Reverb, to minimize weight. Cutting weight from any other part of the cabinet would weaken it structurally. 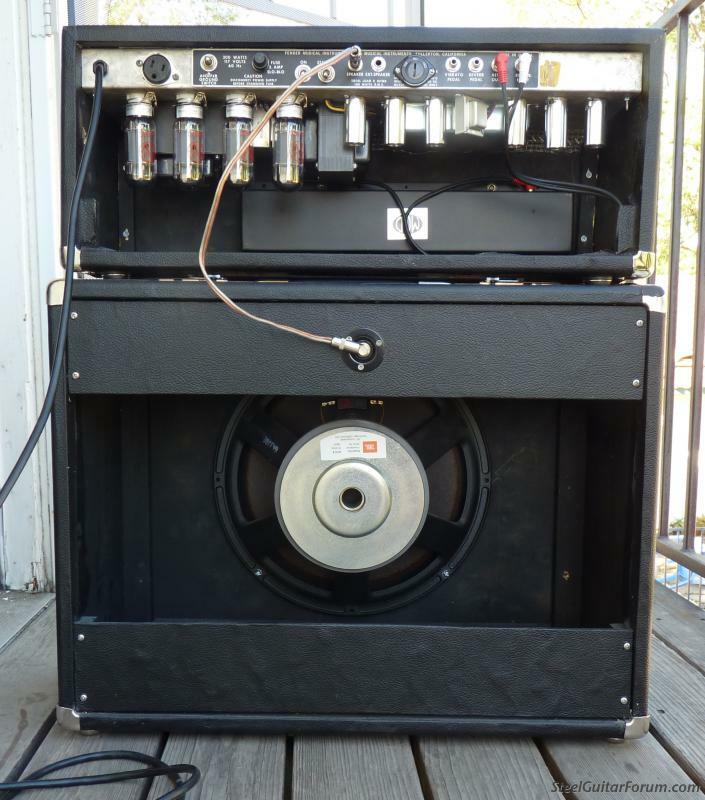 If I understand everything, it appears this amp was reconditioned with several new parts and mated with a JBL 15" speaker. If it's similar to a Twin it will output about 85 watts. 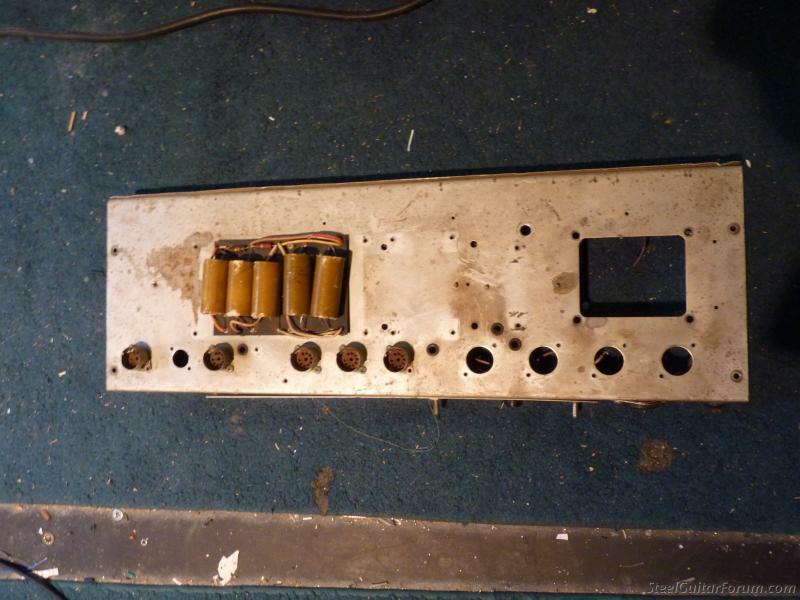 With separate cabinets, weight is reduced in moving the amp parts. 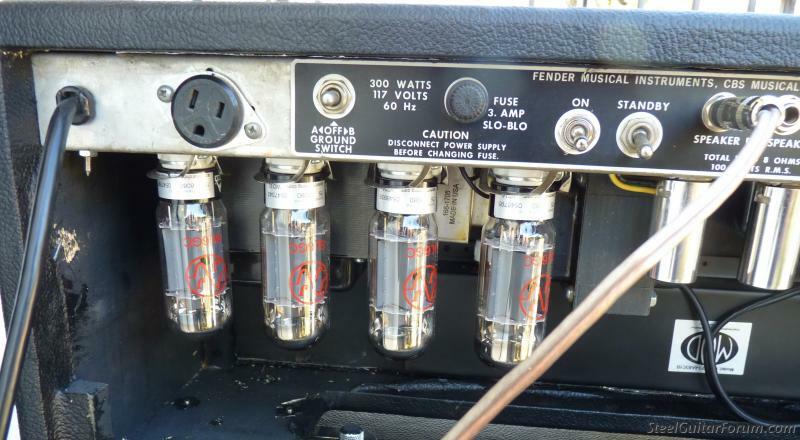 Why wouldn't this be a good steel amp? Is age a factor? The guy wanted a light cabinet but not light wood. Not sure how you can do that. Is the light wood some kind of issue? Can't that be changed pretty easy if some one wants something else. Unless there's something I'm not seeing, this should be all a guy needs, huh? 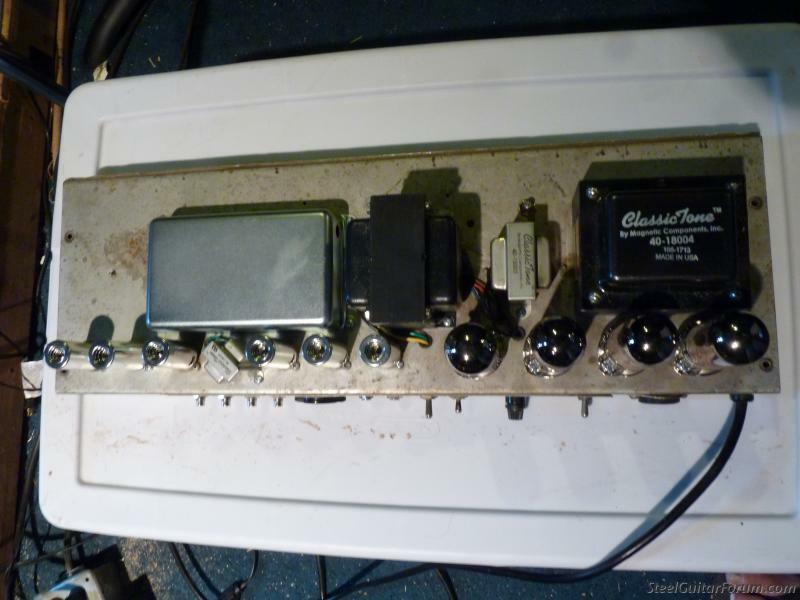 Also, was there anything of the old amp used but chassis? The 72 Twin Reverb's were 100 watt. With the Black Face mod on this my guess would be 85 watt. The cabinet was built with standard thickness birch plywood for the four sides and the baffle board. If I remember, 1/4" plywood was used for the back panels in an attempt to drop cabinet weight, instead 3/8, 1/2, or 5/8. He griped about how it flexed when it was pushed. As mentioned in the initial post, UPON REQUEST I can change the back panels to either thicker separate back panels or a full thicker back panel. Yes, the 1972 Vibrosonic is probably around 85 watts. Great sounding amp. I played it a week ago with 4 different pickups. Classic steel amp tone. 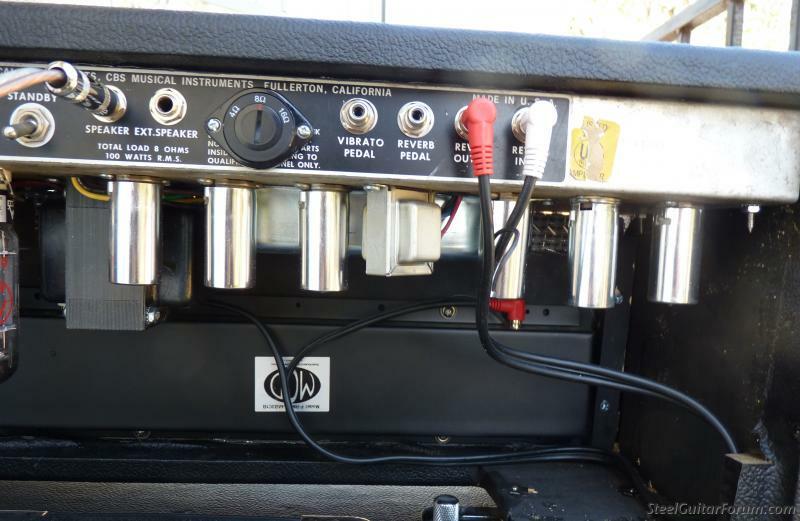 The Vibrasonic was the best steel guitar amp I ever had - by a mile! I could lift one in the 1970s, though. That's why it's in a split cabinet, to help those ailing backs. 85 or 100 watts would depend on the output transformer I believe. 72s were 100 watts. Do you know what the trans is rated at? 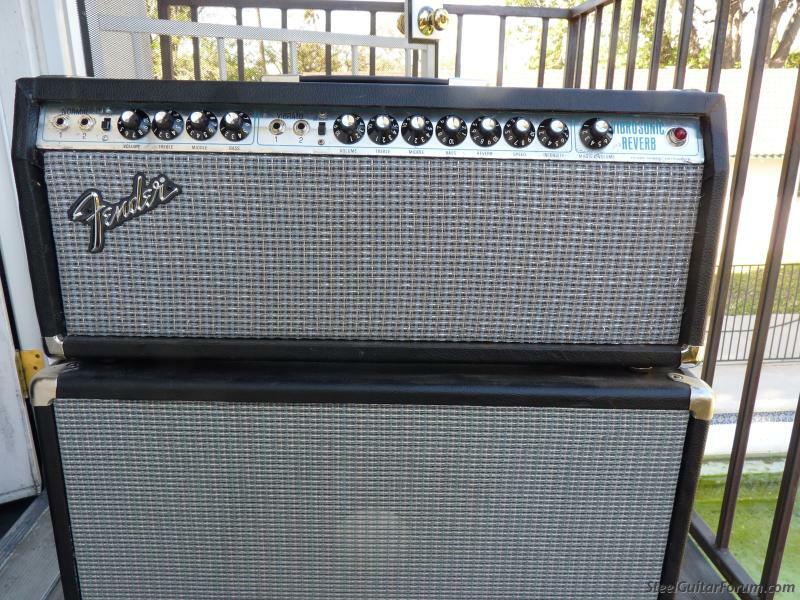 Does anyone know when Fender started making the Vibrosonic Reverb Amp? I think they came after CBS Musical brought Fender? Was always told that they were the same as a Twin but with a 15" speaker and rated 100 watts. I know they were/are a great sounding amp. J.R. I have one from 1972. I think '72 is about right. Yes, they are Twin Reverbs with a 15" spkr and an 8 ohm transformer. The perfect mate to my 73 Twin reverb. Thanks Erv and Bobby, that's what I was thinking. I wish I could run across one somewhere in my area. I do not play out anymore so it could just set in my music room. J.R.